Talking Bull > Latest > Electronic System for HUST Elections? 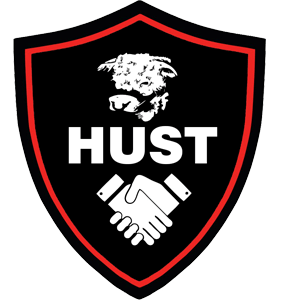 The annual HUST election process is already underway, with notices due to be sent to members within the next three weeks. Following the success of the electronic voting system utilised for the recent ballot, the existing HUST board are keen to implement this for the upcoming elections. Notices for this year’s AGM and HUST Board election are due to be sent to members on 25 August. In order to reduce postal and printing costs HUST hope members with email accounts agree to receive notices and to vote electronically as recommended by the Election Management Group. Members who have joined recently using the new 2016-17 membership form and those members who renewed in person at the Festival of Football and before the Merthyr Town match have already agreed to this request, as did members who agreed to receive notices by email before the 2015 election. All other current members will be sent an email requesting their agreement to receive notices and to vote electronically. Members of the current HUST Board say they would be pleased if members accede to the request so that costs can be reduced and the electronic voting system recently used for the ballot on the 5th investor can be used in the forthcoming Board election. If any member has queries regarding the election please contact the EMG at hustelections@gmail.com. Complaints or concerns about the election process should be addressed to the Neil Le Milliere the independent EMG chairman: neil_le_milliere@btinternet.com.